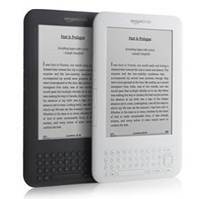 Complaints about poor eBook formatting from the big publishing houses are becoming more numerous from readers. You would never see improper page breaks, erroneous fonts, and garbled text on a print book, so why are the publishing houses allowing these sloppy standards into eBooks? Neal Stephenson’s latest eBook Reamde, a technothriller ironically about a computer hacker, had random hyphens scattered throughout the Kindle edition. Amazon eventually had to temporarily yank it until HarperCollins got their act together to justify the $14.99 cost. Self-published authors frequently take the hit for poorly edited and badly formatted e-books. But the truth is, many of them are more careful about proofing their work than traditional publishers seem to be. "I don't think I've yet seen an e-book that didn't have some pretty blatant formatting and typographical errors in it," says Keith Cronin, author of the novel Me Again, "and I'm talking about even bestselling books from the major publishing houses. In some cases I've also owned the paper version of the book, and have confirmed that the error only appears in the e-book." Acrobat Pro is similar to the free Acrobat Reader offered by Adobe, but the Pro version has a lot more features. Unfortunately, the software is priced at $199 and many writers don’t want to shell that out during these hard times. 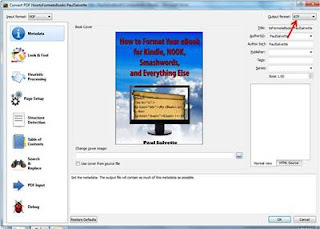 Assuming you want to go this route, let’s take a look at my PDF version of How to Format Your eBook for Kindle, NOOK, Smashwords, and Everything Else. 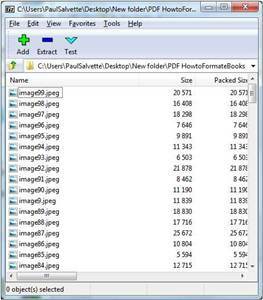 The PDF contains a significant number of images, text, bulleted lists, and other complexities. Trying to cut and paste from the PDF will leave a lot of hard breaks and mangle the formatting. 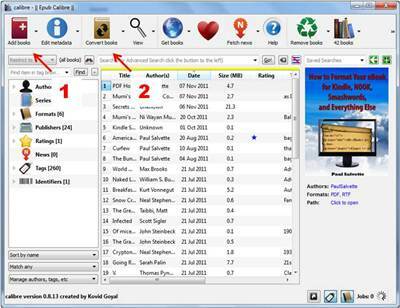 You want to make sure that the text is reflowable prior to trying to build an eBook. 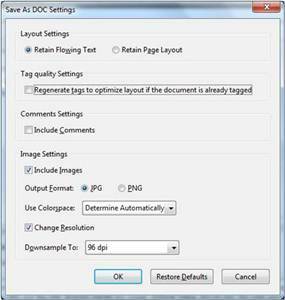 Perform the following steps to convert your PDF into a .doc format. It may take a while for the conversion to take place and create a valid Word document, but it will eventually finish up. 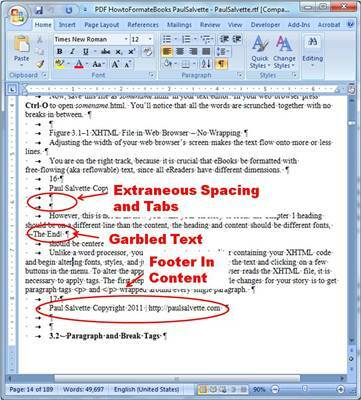 RTF (Rich Text Format) is similar to the .doc format and can be opened with Microsoft Word and many other word processing programs. Calibre is an open-source eBook content management system that can do a variety of conversions between formats with an extensive amount of options. The Calibre manual advises to use a source PDF as a last resort, so this tutorial assumes you have absolutely no other option to make your eBook. 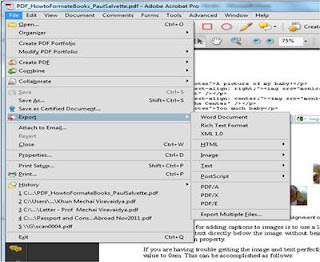 Calibre is a great program that is absolutely free, and the conversion results from PDF to editable content are almost exactly the same quality as Acrobat Pro. To prepare your document to be converted into XHTML as part of the MOBI and EPUB workflow, you really need to spend some time editing this messy content. Look for patterns that became garbled during conversion (e.g. loss of certain capital letters, loss of bulleted lists, etc.) and do your best to rectify the myriad of problems. You can use the Find and Replace feature (Ctrl+H) to help make short work of this task. For the extraneous spacing before and after paragraphs, you can get rid of these with the “Trim leading and trailing spaces” in a text editor like Notepad++. This process may sound lousy, but it is better than trying to directly convert to plain text from PDF, because you retain some of the formatting (e.g. italics, headings, etc.) when converting from PDF to .doc or .rtf. Once you extract all these images, they will be conveniently numbered based on their location within the document. This will be useful as you construct your eBook with XHTML. Now that you have a workable source document, you can begin the workflow process from the ground up to ensure a 100% perfect conversion. A detailed tutorial on how to construct an eBook from a manuscript can be found on this website. The entire process can be very labor intensive if you have a complex eBook. However, if you are a publisher planning on charging $14.99 for a Kindle copy, you should be sure it’s perfect.